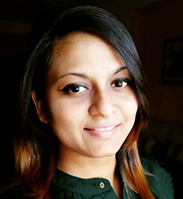 Akanksha is a young HR professional who has finished her PGDHRM course from IMI, New Delhi in 2018.She is certified in International Agile Ninja from Henry Harvin Education. She has interned with organisations from industries like e-commerce and NGO. She has also worked on various projects in the fields of Executive Search, Employee Relations, Psychometric profiling and Marketing. During her Post Graduation course, she served as a volunteer for several events and worked towards their success. She is passionate about dance and has performed at various events. She in interested in Travel and Adventure Sports. As an Associate Consultant at ThreeFish Consulting, her responsibilities include client servicing, Marketing and Business Development, assist in setting up new business verticals and manage the HR activities of the organisation.